Debbi Murphy’s passion for the mind-body connection has deep roots. In college, she pursued a masters in psychology and a doctorate in exercise science. She represented the University of Missouri Teaching Hospital as their “wellness expert” in their weekly tv segment. Academia gave her the opportunity to lead wellness projects, to teach and to learn. However, she still sensed something was missing. In walked yoga. Though still relatively new to the midwest, yoga had made its way into some midwest schools. One was Stephens College where Debbi taught psychology. That first experience escalated an ardent search to learn more. The journey got real when she moved West. Great yoga teachers, workshops, and kindred spirits were plentiful. Debbi took full advantage. In 1998, she attended her first teacher training from Erich Schiffmann. His emphasis on being ‘guided from within’ resonated with her evolving beliefs. Though she continues to study with numerous yoga masters, he remains her most influential. Inspired to share this message, she created Shanti Yoga Studio and Teacher Training. Since 2008, the school has graduated over 400 students. Shanti Yoga Studio hosts nationally recognized yoga master teachers and workshops. Debbi also takes to the road. She leads international retreats for thetravelyogi.com, presents at national conferences and workshops around the US. Through personal experience and decades of teaching, Debbi endorses the powerful medicine of yoga. She believes in the ability of the embodied mind-heart to heal us personally and globally. 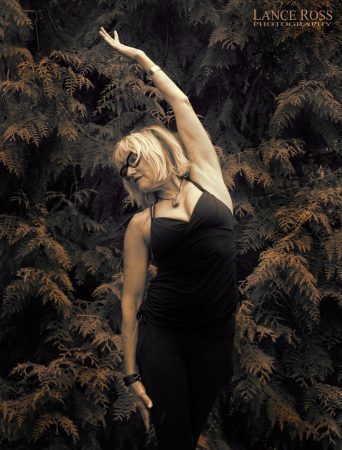 Although she teaches a variety of classes, each is grounded in sound biomechanics and mind-body-spirit integration. Debbi has two classes on Udaya.com, Balance and Detox. Click here for a link to a preview of her Detox class. Each June, as co-director of Idaho’s Health and Awareness Week, she teaches a Mass Class. Click Mass Class Video for a Video from 2015.